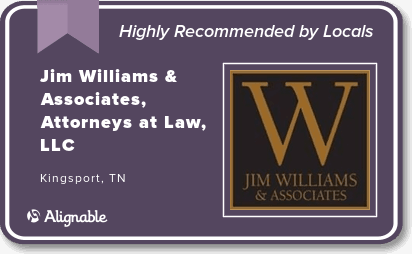 Family law is a major area of the comprehensive legal services offered by Jim Williams & Associates to our clients in Tennessee and Virginia. Family law is a particularly sensitive area, especially where children are involved. It requires a compassionate yet professional attorney capable of clearly explaining the laws and your options during the confusing process of negotiating and litigating a family dispute. At Jim Williams & Associates, we are proud of our reputation among both clients and peers for our fair and creative strategies for effective dispute resolution of family law matters. Our goal is to guide and direct you through your family law matter to a timely and satisfactory resolution. In the event your matter needs to proceed to court, we are trial lawyers representing clients in all courts in Tennessee and Virginia. We are never intimidated by the prospect of litigation, especially when it becomes necessary to achieve the legal goals of our client. Family law issues can be difficult and emotional for all parties involved. You will have many questions and we will be able to provide the answers. Please CONTACT one of our lawyers for a FREE consultation and case evaluation from an experienced family law attorney.